Win a share of €30,000 this summer! Exclusive for our readers from Austria, Canada, Czech Republic, Finland, Germany, Norway, Sweden and Switzerland. 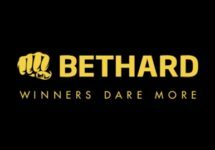 Take part in the latest summer marathon race at Bethard that spreads over six weeks including all sections from Casino, Live Casino to Sportsbook and will see huge prizes going to the TOP150 scorers. Sportsbook enthusiast or Casino lover? Go news, no need to choose. 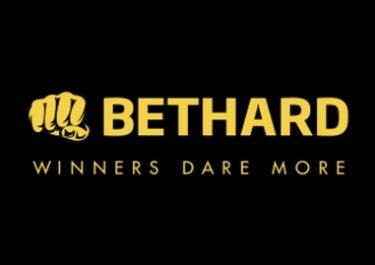 OPT-IN to the six weeks-long Cash Race at Bethard this summer where everything counts. With tournaments like Wimbledon, The Swedish Open, Champions League Qualification and the UEFA Women’s Euro underway, betting on Sportsbook has never been more enticing. There’s no time to rest during those half time breaks, not if you want to beat your opponents and play your way to the top. And with double points on a new set of Casino games every week in their summer sessions, you could be at the top in half the time. Any offers with slots from game providers that are restricted in certain territories cannot be claimed in those countries. No compensation will be given if this scenario occurs. A leader board will be visible on the campaign page for players who opted in. Only play with real money counts towards the race. The first bet on any game or market, before game start or during game in the Sportsbook, will be counted towards the race. Any kind of risk-free bets, pre-match or live, on any kind of game/match do not qualify for the race. Winners of the race will be credited Monday, 14th August 2017 at 12:00 CET. All prizes have a 1x wagering requirement within seven days, subject to the Bethard bonus policy. Launched in 2014, the website is operated by Bethard Group Limited under Curacao and MGA Malta licenses. On offer are Sports, Live Betting, Live Casino, Casino and Virtual Sports for desktop, mobile and tablet. Casino games are provided by Netent, Elk Studios, Foxium, iSoftBet, NextGen, NYX Interactive, Microgaming, Quickspin, Scientific Games, Thunderkick, Yggdrasil and SB Tech while the LIVE Casino table are powered by Evolution Gaming.